GOPRO SUCTION CUP Mount Unboxing, road test & FULL Review - Gadget Reviews on The Uber Experiment. Undercover Uber driver Marcin Migdal investigating Coolest Gadgets on the UBER Experiment reality show. Check out the full review of DigiPower ReFuel 12-Hour Action Pro Pack Battery for GoPro Hero 4, 3+/3 unboxing and gadget video or watch the video below. 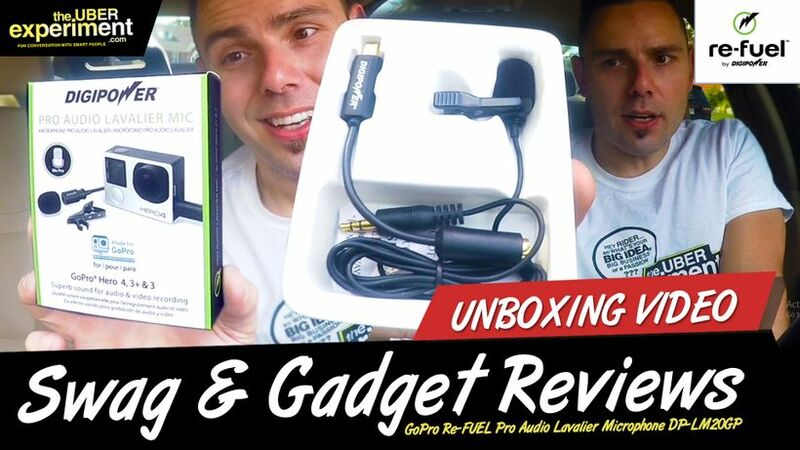 Check out the full review of Re-FUEL Pro Audio Lavalier Microphone DP-LM20GP.